Your Dashboard provides advanced monitoring, alerts, graphing and reports from anywhere in the world. 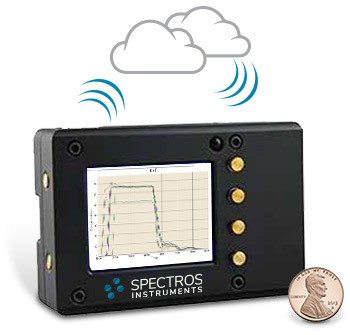 Spectros Instruments offers our business partners a fast path to securely connect their products to our cloud platform. 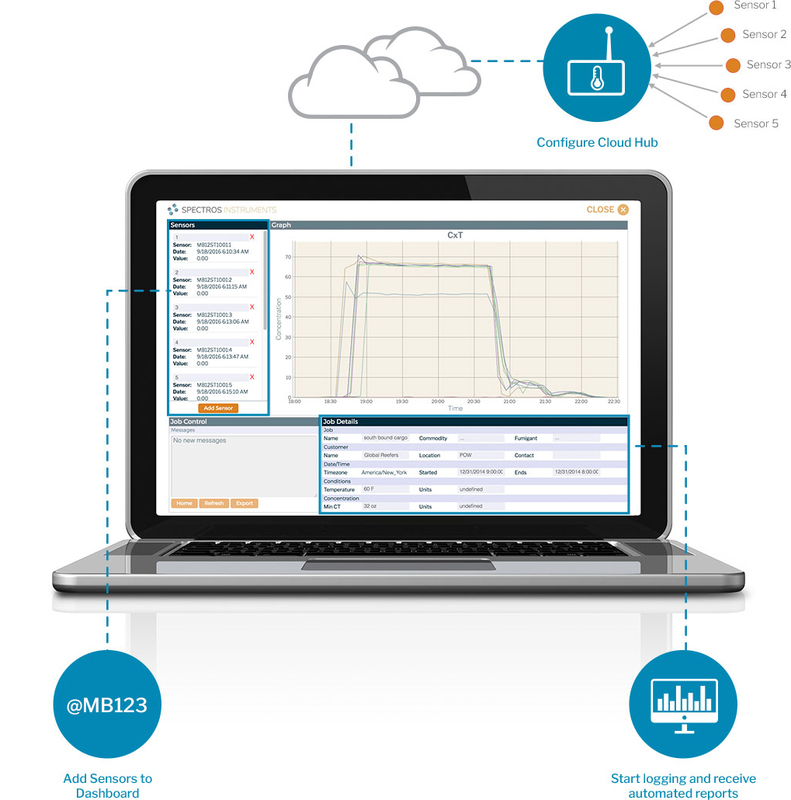 Integrating the latest in microchip and communication modules, we provide out-of-the-box cloud connectivity. 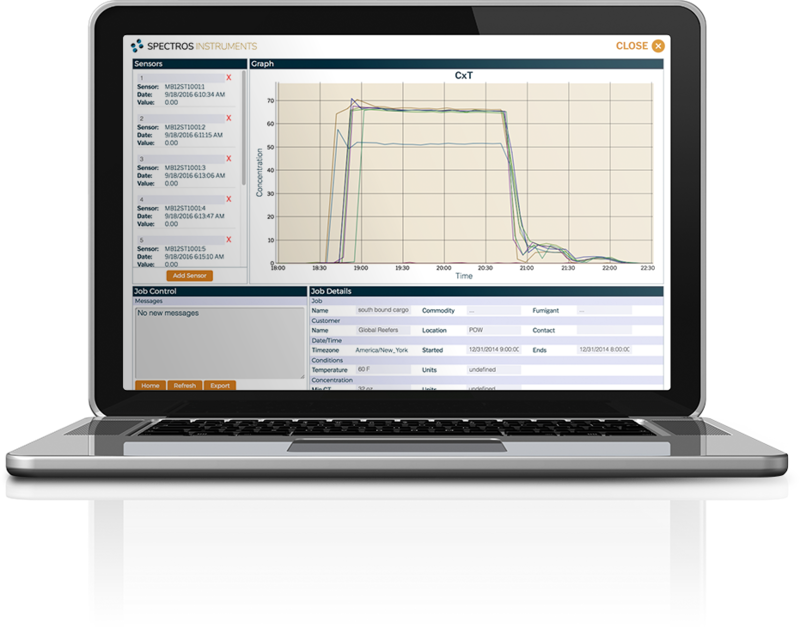 Spectros Instruments Cloud Services utilizes a layered online dashboard gateway for monitoring and managing data. Empowering embedded technologies to sense, communicate and interact with other things creates a network of physical objects. These networks collect and exchange data allowing system control for informed solutions. Improved effciency, accuracy and economic benefit are realized from this more direct integration of the physical world and computer systems. Data integrity through authentication and encryption from anywhere in the world. Log in using an internet-connected device through the web browser. Using the Dashboard, review the fumigation status and timeline display. See the current sensor readings and add sensors.